We have Valentines Day gift ideas for you at Serene Vista Spa Bed and Breakfast! 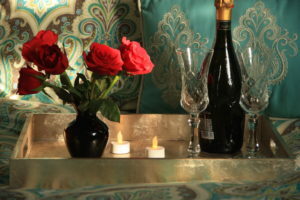 Give a Valentines Day Spa B&B Weekend Retreat – We have great Valentine gifts for him and gifts for her. Ladies we know its hard to find new and different gifts for men… and Men we know you want the best Valentines Day gift for her… that is why Valentines Day gift ideas at Serene Vista Spa Bed and Breakfast are perfect for both of you…! You both get a great massage and stay at Spa B&B. if booked with a 2 nights and 2 massages while your here that’s about a $70 to $80 value! Call 917.882.2422 to get this Valentines Day gift special! *Valentines Day Gift Special is only good for February 9 through February 22, 2018 and requires a 2 night stay in the B&B and 2 Spa treatments.